National co-ordinator: Bernadette Barrett, 5, Tyrone Avenue. Waterford. 051-373876. A Mullingar man had charges of illegally hunting badgers dismissed against him, but was convicted and fined a total of €350 for other offences under the Wildlife Act by Judge David Anderson at Mullingar District Court. Michael O’Dowd (45) with an address at 12 Grange Crescent, Mullingar, County Westmeath pleaded guilty to charges of interfering with the breeding place of a protected wild animal (badger) and failure to comply with a requirement to show the instruments and dogs used for hunting. Three other charges were struck out against the defendant. The charges were brought against O’Dowd following an incident at the Rochford Demense, Mullingar on May 26th, 2003. The court heard that on the date in question, three wildlife rangers investigated a complaint that the defendant had been hunting badgers with a dog on the land owned by the County Council in the area commonly known as Tudenham on the eastern shore of Lough Ennel. Sargent Terry Quinn told the judge that the rangers discovered a badger sett that had been freshly dug out and filled. After the rangers failed to locate the man or the dogs, they called on the home of O’Dowd and questioned him. The court was told that the defendant admitted being out hunting with his dogs that morning but said he was hunting foxes. Sgt. Quinn stated that O’Dowd refused to show the rangers his dogs or the spade used. Following this, the rangers made an official complaint to the Gardai. Sgt Quinn gave evidence that he called to O’Dowd, who co-operated and made a full statement. In his statement, O’Dowd claimed that had gone out hunting foxes with a 14-year old and two of his dogs – a Jack Russell and a terrier. He said he wanted to see if the terrier was a good hunter. The defendant contended that the terrier had gone into the burrow and that he had to dig him out. O’Dowd stated that he had been hunting for 30 years in the area and that nobody had ever told him he wasn’t entitled to do so and that there were no signs erected to that effect. Sgt. Quinn stated that the wildlife experts had said that the badger sett in question was well-established and well-known. Solicitor for the defendant, Mr. Bobby Marren, pointed out that O’Dowd was “open” and didn’t hide his involvement in the incident. He told the judge that O’Dowd, who has no previous convictions, was a plasterer and a father of three. Mr. Marren contended that his client had only disturbed the sett to dig out his dog and was pleading guilty to this offence. Judge Anderson imposed a conviction and €250 fine in respect of interfering with the badger sett. O’Dowd was also convicted and fined for failing to comply with the request of the wildlife rangers to see the dogs and equipment used for hunting. The following three charges were dismissed – hunting a protected wild animal (badger), hunting a wild animal without the permission of the landowner and carrying on lands instruments capable of being used for hunting a wild animal. Bramble returns to the wild. Members who can access our website are already familiar with the story of Bramble, the 2 week-old badger cub who was brought to us back in March. His rescuers said he was found in a field. Although the story did not ring right, they were asked to return to the spot and search for the rest of his family. On the other hand they had taken the trouble of finding us and were genuinely concerned about the cub and asked if he would be okay and what would become of him. We suspect that the sett might have been accidentally destroyed on a farm. Bramble (as he was named) needed urgent veterinary attention the following morning and was treated for shock and dehydration. So tiny was he, that he had to be fed from a bottle normally used for orphaned kittens. As badgers are allergic to cow’s milk, a substitute had to be found and he eventually settled on Lactol. He was fed 2-3 hourly, day and night. Weight was checked daily. In the absence of mum badger, it was also necessary to stimulate the genital region to encourage him to pass urine and defecate. A moistened tissue did the job. Because cub’s skin can become dry and brittle, it was necessary to cover him with baby oil every morning. Soon, Bramble was tottering about, a little unsteady from time to time and would keel over. The family cats at this stage took on some responsibility for grooming and washing him. Their commitment to this new found role meant that Bramble keeled over even more often, under the intense pressure of feline tongues! However, they all got on well and were relaxed in each other’s company. Life became easier when Bramble progressed on to the normal baby bottle and was able to take bigger and less frequent feeds. Nearing the eight-week mark, Bramble showed not the slightest interest in solid food. Parting Bramble from his beloved bottle was going to be no easy task! Eventually after much offerings, something that he just could not resist was found – fried sausages! Badgers like us are omnivores so they are not confined to any particular food. Tomatoes, pears, eggs scrambled (with water), cheese, cakes, pasta and of course everything sweet soon joined the growing list of Bramble favourites. Dried dog food soaked in warm water formed the basis for his diet. Because we thought this was too heavy for him at the start, Rice Crispies were added. No variety of canned dog food would be accepted. This was a badger with attitude! In the wild, his diet will consist mainly of earthworms and he’ll down about 200 in a night’s foraging. Badgers will also eat insects, small rodents, seasonal fruit and cereals. Drought in spring and summer causes much hardship for the animals. The ground becomes dry and hard. Earthworms move even deeper underground so food gets scarce. Its too early for wild fruit or any substitute food. Young cubs are often the first casualties to die of starvation. Bramble would play around the garden during the early summer nights. Soon the digging instinct emerged as did the holes in various parts of the garden. He began earning his keep by doing a nightly sweep around the hedges, snails, slugs and any class of beetles were fair game. At this stage he was becoming more and more nocturnal, sleeping through the daylight hours. By now, Bramble was getting bigger and weighed a solid stone. In June, Bramble went to his new home in the country, to be cared for by other BadgerWatch members and familiarised with the surroundings into which he would eventually be given his freedom. His pen was roomy, secure and secluded without being isolated from his new family. Straw was gathered by him nightly from where it was stacked outside his pen and deposited in his kennel, which he loved. He packed the entrance solid, this we think was his method of keeping any daylight from entering. Latrines were organised and serious excavation duties were noticed. Other badger instincts like musking were also evident. At almost six months, Bramble grew into an enormous magnificent and boisterous animal. He formed a friendship with the two housedogs, Bessie and Bailey. Indeed Bessie became non-human mum number two. This kinship did not extend to any other dogs. His fur would stand on end at the approach of any other unfamiliar canines. Towards the end of August, he was getting more restless and frustrated in his enclosure. We would have preferred that he remained for another few weeks. Because he was reared in captivity (no competition for food), he was really big for his age. It was decided the time had come to give him his option. His pen was simply left open so he could come and go as he pleased. We felt he might visit his old abode from time to time. We hoped he would come and go and that he might have chosen to remain in the general area into which he was released as it is badger-friendly country. But it was not to be. One month had passed and there had been no sighting of Bramble. We are certain that he will make a return visit sooner or later. What of his future? Bramble like all badgers in this Country of ours, face a future fraught with hazards. Sadly the dice is loaded against him. He may be lucky and avoid the attention of the lowlife whose time is dedicated to torturing the creatures. We wish him a safe journey and long life. We pray that he will not come into contact with DAFRD’s badgers trappers. We hoped he would come and go and that he might have chosen to remain in the general area into which he was released as it is badger-friendly country. But in the time that has passed and there has been no sighting of Bramble. Having a had hand in the rearing of one of our much maligned species has been one of life’s all-too-rare privileges. The memories, along with the holes in the garden, remain……. With the exit of Joe Walsh from the political stage, it is time to reflect on his work as Minister for Agriculture and Food in terms of animal rights/welfare. Under his guidance the Department of Agriculture introduced anti-animal legislation, regulations and research: muzzled hare coursing, the drawing up of a code of conduct for foxhunting, the continuation of live animal exports and the on-going massacre of badgers under the guise of research. On the issue of hare coursing, in 1993, Mr.Walsh had an opportunity in to go down in the Irish political history as the politician who rose above the issue and did a statesman act by introducing legislation to outlaw this evil activity. Instead, his department chose to allow hare coursing to continue and added to the cruelty by introducing the muzzle to enclosed hare coursing. On the issue of foxhunting, in 1998, Mr. Walsh rubber-stamped regulations on the conduct of foxhunting by members of the Irish Masters of Foxhunting Association. The fact that this cruelty charter was drawn up the IMFHA did not unduly concern the Minister. These regulations make no difference to the conduct of foxhunting. No set of pious words will it make it acceptable in form or deed. On the issue of live animal exports, Mr.Walsh has consistently adopted the line that live animal exports are an integral part of the Irish livestock industry that must be allowed to continue. The fact that live animal exports means that Irish farm animals suffer horrendous journeys overseas shores to be butchered in foreign slaughterhouses does not raise a flicker of compassion on Mr.Walsh's emotional radar. 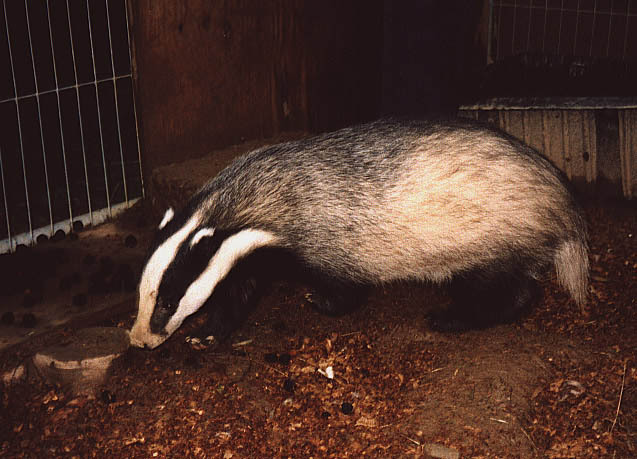 On the issue of badgers, Mr. Walsh and his department have sanctioned a four-year eradication program as part of the research into the unproven role of badgers in the spread of cattle TB. It is expected that up to 30% of Ireland's badgers - some 65, 00, will be snared and shot in this department sanctioned rural war crime. To sum up, Mr.Walsh's time at the Department of Agriculture & Food has done nothing positive for the welfare of Irish animals. Mr.Walsh has continued the policy of previous Agricultural Ministers; don't rock the ship, capitulate to farming and bloodsports interests while making soothing noises on the issue of animal welfare. In his term of office, Mr.Walsh had numerous opportunities to make a difference, to be a positive force for far reaching change and to make a difference to the lives of the non-human members of our society. The fact that he chose to confine himself to the parochial arena rather that the statesman arena is a reflection on the thinking level of Irish politicians - stay within the box and don't dare to dream of making a difference. Perhaps in his political retirement, Mr.Walsh might reflect on his failure to rise above the station of a parish-pump politician while passing up numerous opportunities to be a statesman. The National Federation of Badger groups. testing, increased testing frequencies and improved cattle husbandry" . cattle are identified and removed as soon as possible'. test, gathering further information about its effectiveness as they go." currently exists for diagnosing bovine TB in living wildlife. to eliminate it through wildlife culling [3,4]. bovine TB in their herds. To most people, the Country Fair/Show may appear to be an ideal venue for a family outing in the open air and to enjoy all that is good and wholesome in our countryside. Hours can be spent visiting the various stalls and sampling the home produce. Most Fairs include an amusement area for the kiddies, complete with swings and slides and all that is of interests to the youngsters. BadgerWatch has been attending such shows for a number of years usually in the company of other environmental and animal welfare groups. In recent times we have travelled to venues in Limerick, Offaly, Portlaoise, Kildare and Clonmel, to name but a few. Our main interests would be focussed on information stands that promote bloodsport activities such as live hare coursing, foxhunting and terrier/lurcher work. They are, sadly, legal pursuits in this country. Naturally, it is only the very selected areas of such activities that are presented to the public. The hunt masters and huntsmen attired in their splendid red jackets astride magnificent mounts entering the arena followed obediently by their hounds, make a most impressive sight. A few gentle notes on the hunting horn completes the scene. Kiddies are quickly lifted shoulder high to get a better view. All very harmless, one might say. This is the picture postcard presentation of fox-hunting! However, there’s not a single terrier man in sight. This person who is an integral part of the hunt spectacle is conspicuous by his absence. The one who takes centre stage on any hunting day is never to be seen at Country Fairs. He who would normally be extremely visible in the fields, spade in one hand and a firm grip on a clutter of straining terriers in the other is missing. The necessity to educate the public on the finer points of fox- hunting, like how to put the terriers under ground to locate the unfortunate hunted creature has never been considered. Why not? Isn’t this what hunting is all about? A demonstration on how to dig a fox out of its earth and give it an unmerciful end would likely shock most onlookers. Gone forever would be the Christmas card image of their harmless romping around the countryside. No, it’s better that terriers and their handlers remain permanently out of public view, securely locked in the closet. Just like Hyacinth Bucket, it’s all about keeping up appearances! The leaflet carried a picture of two greyhounds closing in on a (presumably) terrified hare, one of the 10,000 that are netted annually (under licence via the Wildlife Service) from the wild. For a mere €15, a list of membership benefits is available. Muzzling of hounds in recent years have done nothing to give this vile activity a single shred of respectability. Hares are not the only victims in coursing. Thousands of greyhounds are discarded annually in Ireland. In the doggy world, only winners survive. Losers are surplus to requirement! Rescue centres take in as many greys as is possible but it’s only the proverbial drop in the ocean. Some dogs will end up being sold off to a life of misery in the hell-holes of Spanish racing tracks. Many are simply ‘unaccounted for’. This is the ‘ coursing tradition’ I am being asked to protect! Who is asking? The name on my information literature says it’s none other than the Countryside Alliance of Ireland in Partnership with the Irish Coursing Club. The main focus of our visit is usually the Working Terrier and Lurcher Show. This is one aspect of Country Shows that the general public will be indifferent to or totally unfamiliar with. 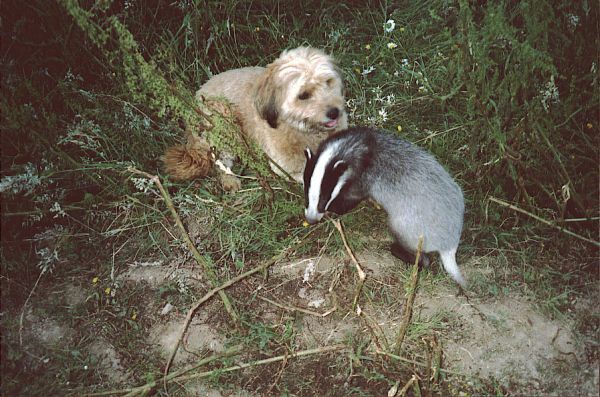 Terrier work is about training small dogs to ‘work’ underground, locating the prey, usually fox, rabbit or maybe something ‘more exciting’. This is followed by the dig-out. The killing sprees may start early on Saturday or/and Sunday morning and our miniature heroes can be spotted on the road with the accompanying dog trailers in tow. Vans, carrying terriers, digging equipment plus a number of males cramped into front seats are also suspect. Anyone familiar with their activities know for certain that some unfortunate element of our wildlife will end up torn to shreds for ‘sport.’ After dark, lamping trips are the favoured activity. Lurchers are used mainly for working overground. Few foxes would stand a chance here. One way or another, this is all about killing. Accounts of their digging exploits and the prowess of their dogs published in their various magazines make stomach-churning reading and is not for the faint-hearted. Incidentally, videos on ‘fox control’ (more gore) can be purchased at the NARGC (National Association of Regional Game Councils (gun clubs) Information stand by anyone foolish enough to part with €30. This association actually regards itself as conservationists and ‘managers’ of the countryside. Listed among their annual toll of victims are tens of thousands of wild animals and birds. Feral cats appear to have also joined the list. Different breeds of terriers are shown, i.e. Patterdales, Jack Russell’s and Border Terriers. Dogs are also being bought and sold. We’re interested in seeing the black Patterdale breed, a medium small animal which is regarded specifically as a ‘badger’ dog. It wouldn’t be unusual to see the telltale scarring along the face and jaws, which suggests it’s been involved in some altercation or another. Lurcher and Terrier Shows may operate as part of a Country Fair or independently in their own venues throughout the country. It might not be surprising to see among the judges, an individual with a conviction for badger cruelty under his belt! Is our national Tourist Board, Failte Ireland funding bloodsports? The Clonmel Country Festival was our last outing for 2004. Organised by the Countryside Alliance ( Ireland), its objective being the promotion of blood-sports in this country. The venue itself is significant as it hosts the three-day coursing finals every year. Participating was The Irish Coursing Club, the Tipperary Foxhounds, NARGC and naturally, Working Terrier and Lurcher Groups. We have been aware for some time that Failte Ireland had received an application for funding from the organisers of the Fair along the grounds that this event would be a tourist attraction and would bring tourists to the South East. Failte Ireland has monies available for tourist projects and the Clonmel Fair unfortunately appeared to fulfil the criteria for funding. It is unacceptable to us, that as Irish taxpayers, we should be funding events that promote abuses of our wildlife. It may well be argued that because pursuits like foxhunting and live hare coursing still enjoy legal status in Ireland, there’s nothing wrong with Failte Ireland making a financial commitment to them. Cruelty tourism is not on. We do not need to import animal abusers. We have more than our fair share of the home grown variety. Because funding would not be given until after the event, we are at the moment unsure of the amount given. It is known that Failte Ireland received numerous complaints from the public regarding it and it is therefore possible there may have been a re-think about funding this festival. It is our wish that not a cent of public money makes its way there. The obvious lack of public support for this two-day festival must have been an embarrassment to its organisers. No more than a couple of hundred people were seen on both days. The claims that 12,000 people attended are astounding to say the least. But, if, for argument sake, we do accept their figures, then surely State funding for this event is unnecessary. We were naturally enough, happy to see a nigh empty Powerstown Park. Information from the Department of Agriculture, Food and Rural Development. 2. Has the Four-Special Areas project been finally peer reviewed. Is it likely to be published in The Irish Veterinary Journal? Would it be possible that DAFRD might forward copies to interested parties? [The comments of the reviewers were received in May2004. These comments suggested certain items be presented differently to comply with the editorial policy of the journal and requested additional analysis be presented that reviewers felt would add clarity to the paper. The paper will be re-submitted to the journal in the coming weeks, having been revised. The paper is submitted to "The Journal of Preventative Veterinary Medicine" and so will not be published in the Irish Veterinary Journal. A paper suitable to the Irish Veterinary Journal may be produced, but will not be produced before the major paper appears in the JPrev VetMed. The papers would differ in so far as JPrevVetMed requires more heavy duty mathematics to support modelling techniques it likes used, whereas the IVJ is more readable as it contains less higher level maths. 3. 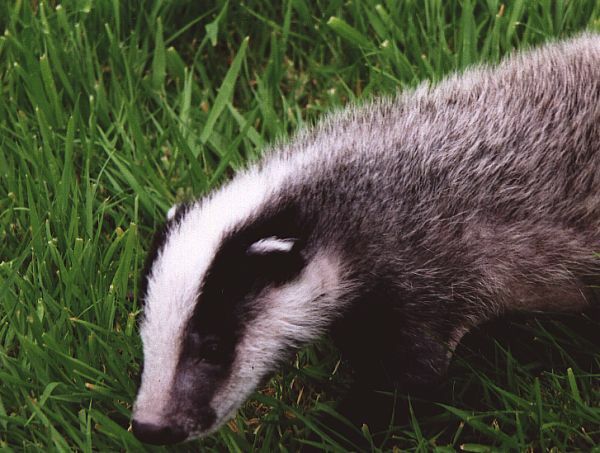 Has the badger cull agreed under the Programme for Prosperity and Fairness got off the ground? In response to a Freedom of Information question earlier this year (Feb/March) I was told it was due to get under way 01/01/04. Any update on this? What got off the ground as promised on 01.01/04 was the Dept. of Agriculture's Wildlife Unit's revised operating strategy. As explained previously, this involves an intensive investigation of herd breakdowns where Tb has been confirmed in cattle, and reductions in local badger populations where the need is proven in line with agreements entered into with DOE and any removals are in keeping with the aims of the Berne Convention on conservation of our natural flora and fauna.